This pathetic attempt at comic horror (deriving from an initial project to rework Peter Pan in vampiric terms) not only plays fast and loose with vampire mythology but also fails to deliver either frights or laughs. Soon after moving to the coastal town of Santa Clara with his mother (Wiest) and elder brother Michael (Patric), young MTV addict Sam (Haim) is warned against vampires by the two Goonies who run the local comic shop. Lured to a wild cave party, Michael gets his first taste of blood (out of a bottle?). Forewarned is forearmed, however, and when Michael starts wearing shades, sleeping all day and flying around, Sam and the comic kids reach for the holy water, garlic and wooden stakes. Directed with a cavalier disregard for intelligibility, this has to be one of the most anaemic vampire flicks ever made. 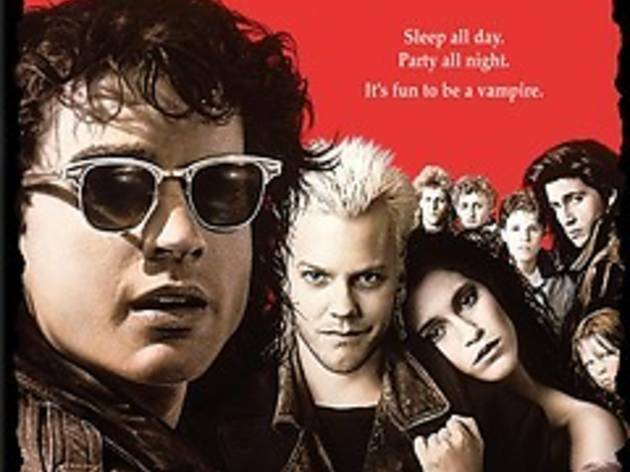 My all time favourite film, this is so much more than just a teen vampire movie. It has some great comedic moments and the cast are all great. Plus there is a slightly surprising twist towards the end - what more do you want for a classic 80's movie?! Good review. This film is just a piece of 80's teen cinema junk. Possibly a forerunner of all those Twilight-like flicks that every so often disgrace both the big and the small screens. A comment such as that by Fern Owen here epitomizes the intellectual calibre of this fim and of those who are fond of this type of trash entertainment. What buffoon wrote that review? What utter, clueless fool too wrapped up in pretention actually sat down and penned that review? Talk about completely missing the point. 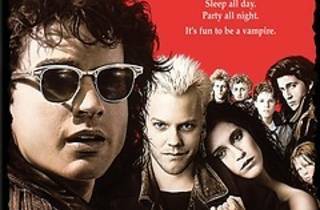 It was neither meant to be a comedy or a horror, more a classic 80s teen movie that happened to be about vampires. In fact, it is *the* 80s teen movie in most peoplesâ€™ eyes. It outstrips the silly Teen Wolf, it outclasses the more two dimensional License to Drive and it even offers for surprises, twists and atmosphere than Ferris Bullerâ€™s Day Off. This review is an utter disgrace. What was the critic expecting? Sure I can understand if they did not warm to the humour, but it was tongue in cheek, self aware and lightly seasoned. It wasnâ€™t meant to be a bloody comedy parade. The comic relief role of the Grandad was delivered perfectly. The juxtaposition between Michaelâ€™s night time transformation and his younger brotherâ€™s relationship is, at the least good, at the most, fantastic. Director Joel Schumacher might have gone on to turn out faeces such as Batman and Robin but this was the apex of his career â€“ Atmospheric, self mocking and visually pleasing this film is undebateably a prominent jewel in the crown of classic 80s cinema. Fire the reviewer please.